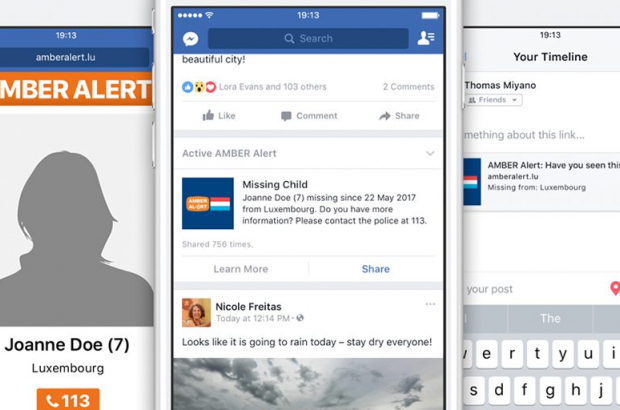 Facebook will display missing child alerts in the timelines of Belgium-based users, working alongside Belgian youth protection charity Child Focus. Belgium is the 17th country in the world to work with the social media giant to disseminate details of missing children, in a system first implemented by Facebook in the US in 2015. Child Focus said family members often used social media to call for help when a child goes missing - and by directly collaborating with Facebook, the message can be spread more effectively. The head of Child Focus's missing persons unit said the decision to issue a Facebook alert would be made on a case-by-case basis, in consultation with investigators and the prosecutor's office. He said it would not be used every time a child disappeared, "otherwise it will lose its impact". Facebook users who see the alert will be able to share it with their friends, to further increase its reach. "We hope we will never have to use this tool," said a Facebook spokeswoman. "Buf if so, we hope it will help find the missing children quickly, so that they can be with their families again." Belgium's Child Alerts system is triggered when a child disappears whose life is considered to be in immediate danger. It has been used twice since its launch in 2011 and was successful both times. The aim is to spread details - including a photo - of the missing child as far and as quickly as possible, using TV and radio, road signs and SMS alerts.